Antarctica. The name alone is epic. No place is more synonymous with adventure, extremes, and pristine wilderness. 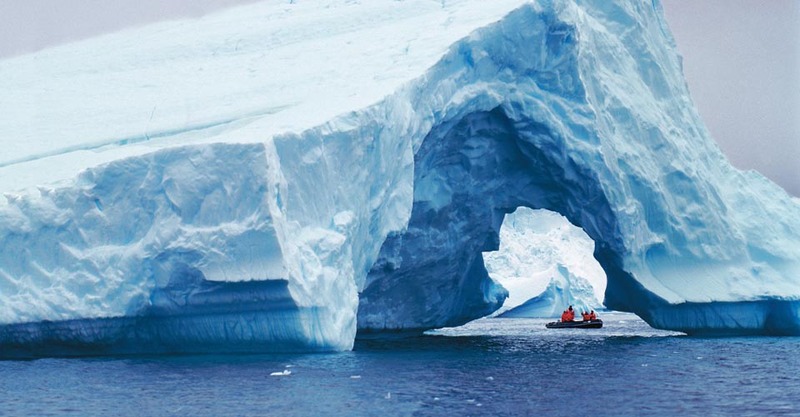 Though rumored to exist even among the ancient Greeks, Antarctica had no documented sightings by humans until 1820. The most intrepid expeditions in history penetrated its inner reaches a little over a century ago. Today, Antarctica's white wonders are within reach of anyone with an explorer’s spirit. 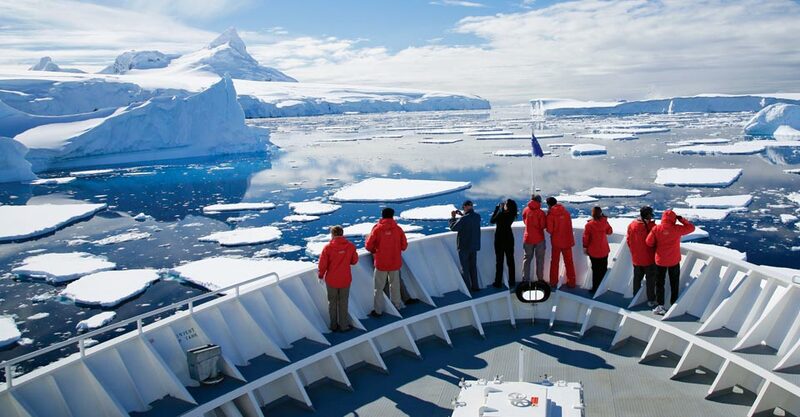 Our small ships designed for polar cruising navigate among colossal icebergs and giant whales, while tens of thousands of penguins congregate ashore. Antarctica arguably supersedes any place on Earth in provoking a traveler’s awe, and it does so no less now than for Shackleton or Amundsen. Meaningful nature adventures can’t happen in big crowds. 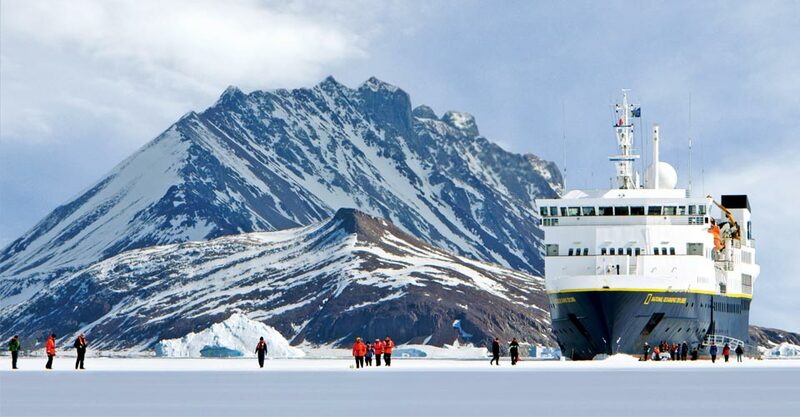 Lindblad's expedition ships in Antarctica offer an exhilarating, up-close experience of the southern ice and the abundant wildlife of the White Continent. Their small size makes them nimble enough to access protected coves and channels that big ships can’t reach, while full stabilization and state-of-the-art technology make them exceptionally safe. The ship you sail aboard will depend upon the itinerary and departure you choose. Each polar vessel ensures personal access to naturalists, lecturers, staff and crew. 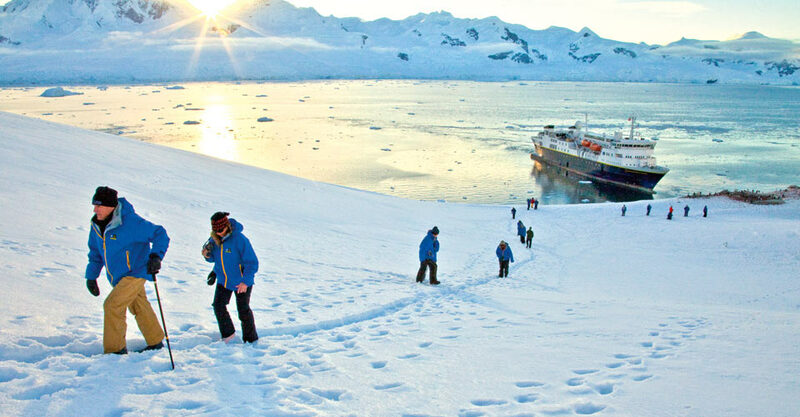 This is a genuine expedition-style experience aboard an authentic expedition ship with a seasoned polar adventure team. 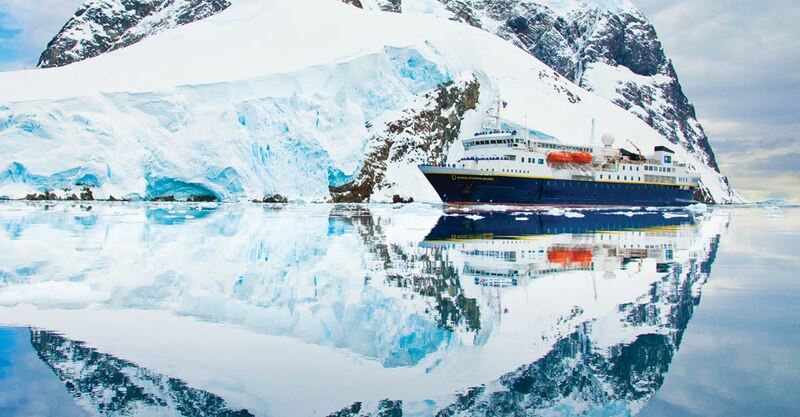 As pioneers in opening Antarctica to civilian travelers, Lindblad draws upon more than 50 years of experience navigating polar seas assuring safe passage and an immersive adventure in one of the planet’s wildest landscapes. You’ll benefit from traveling with a company whose stellar reputation has been carefully earned over decades. 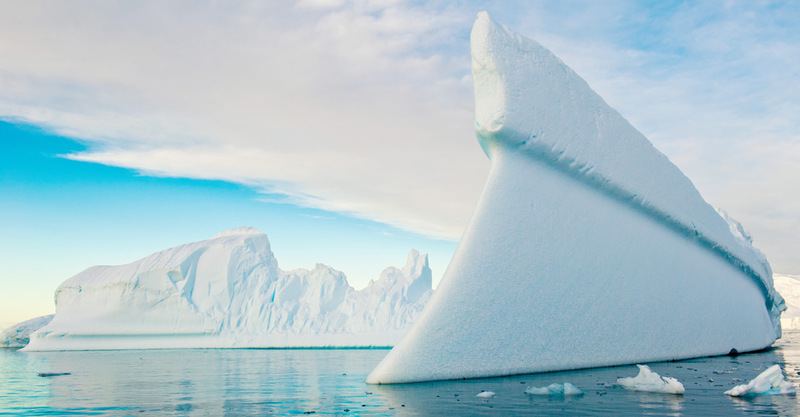 Tandem kayaks deploy quickly and allow for close-up exploration among the sculptural majesty of Antarctica’s icebergs. 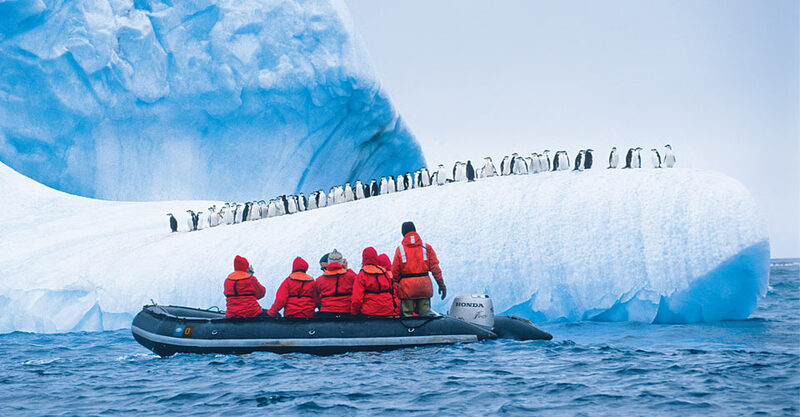 A fleet of 13 Zodiacs and 32 double kayaks lets us cruise near penguins, leopard seals and marine mammals along the bays and coastlines of the Antarctic Peninsula. A mobile platform enables fast, safe deployment of kayaks within minutes of finding an anchorage, with plenty of kayaks for personal encounters with the ice and its creatures at your own pace. Led by veteran Expedition Leaders, hikes and activities on shore are accessible at a variety of physical exertion levels. 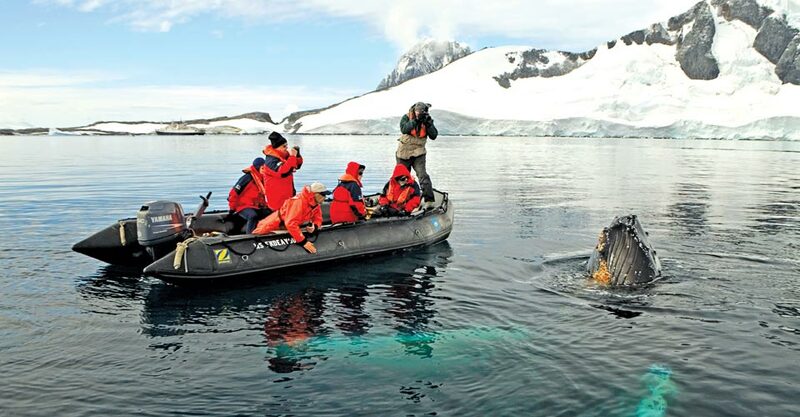 A remotely operated underwater vehicle (ROV) and undersea interpretive specialist give passengers a rare opportunity to view Antarctica’s seldom-seen underwater world. An onboard National Geographic photographer helps ensure you get the best shots. Unique to Lindblad, each voyage hosts an undersea specialist who suits up for polar waters, dives to capture vivid HD video footage and shares it on plasma screens in the ship’s lounge. Going even deeper, the ship’s hydrophone lets passengers listen in on whales while a remotely operated vehicle (ROV) capable of exploring depths up to 1,000 feet films the places where no diver can go. The ROV and polar dives provide a rare journey into the virtually unknown Antarctic undersea, while you enjoy the underwater expedition from a warm and dry spot on board. For the bird’s eye view, a remote-controlled crow’s nest camera broadcasts real-time footage on individual cabin video screens. 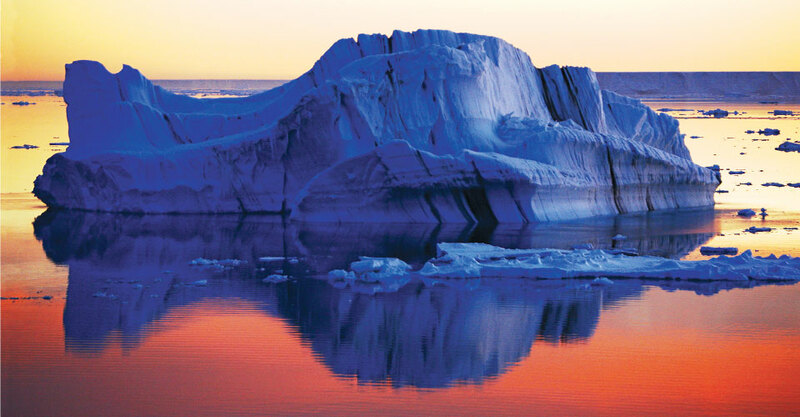 Explore Antarctica with a passionate team of experts whose knowledge will enhance your adventure and your comprehension of the polar landscape. Travel with an Expedition Leader, eight veteran naturalists, a National Geographic photographer, an undersea specialist, knowledgeable guest speakers, a video chronicler and a wellness specialist. 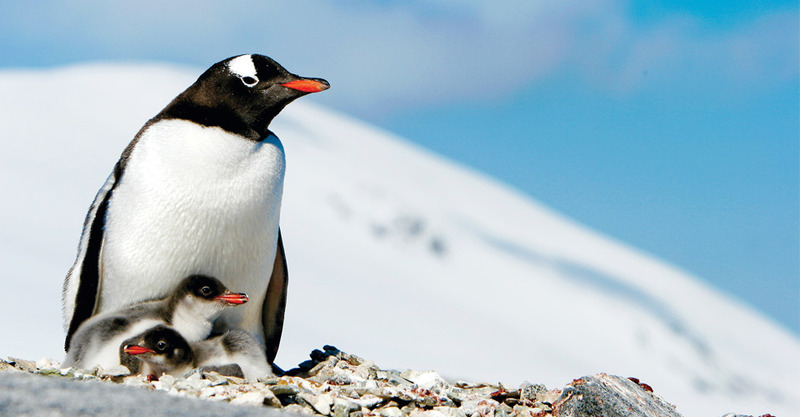 Your first-rate team of naturalist guides specializes in Antarctica, from wildlife biologists to ornithologists, marine scientists and polar historians. Fill out the form below to receive additional information about our Journey to Antarctica: The White Continent. Hi Nat Hab, I’m interested in your Journey to Antarctica: The White Continent. Can you please contact me with more information?